When searching just about anything regarding marijuana strains in dispensaries or online, you may notice that strains are commonly broken up into two different groups: indica and sativa. Grouping the two strains into different groups helps consumers predict the strains effects. We know finding the perfect strain can be a difficult task considering the vast range of strains out there. Remember there are two main varieties of cannabis. Understanding the difference between the two is imperative for any patient - medical or recreational. 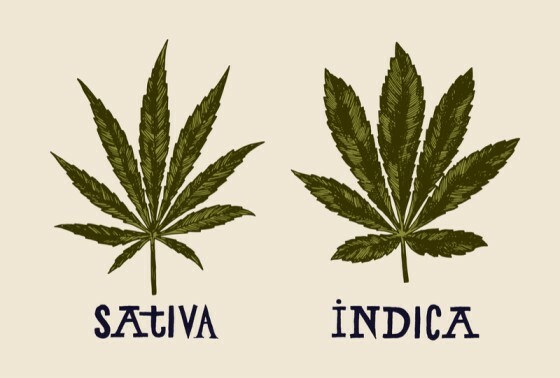 Indica and Sativa are different in every respect. They differ in their appearance, psychological effects and physiological effects. 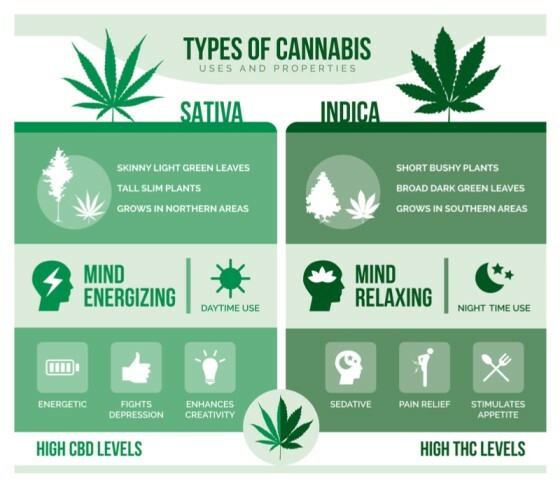 Indica strains generally provide a sense of deep body relaxation, whereas Sativa provides a more energizing experience. 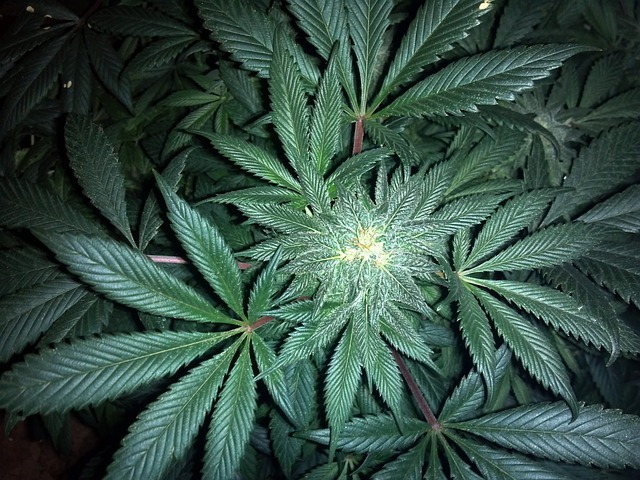 Indica plants are typically short, bushy plants with wide leaves. These types of plants grow faster and yield higher than their sativa counterpart. Medicines derived from indica plants have higher CBD content and low THC content. Cannabis Sativa plants are the opposite of Indica strains. They grow tall with narrow leaves. Sativa plants dress in lighter shades of green and take longer to grow and mature. This is because Sativa requires more light than Indica. Medicine that is derived from cannabis Sativa has a lower CBD count but a higher THC count. If you’re a seasoned user or novice on the bud, we can all agree that cannabis has a smell. Ever wonder how one strain can smell like lemon and berries while another can smell like gasoline? But, how does cannabis get that smell? The answer is terpenes. Terpenes are an aromatic compound found in the oils of cannabis and flowers. Terpenes are naturally produced to attract insects and repel predators. Terpenes emit very pungent smells and flavours that change based on the growing conditions. In the context of Indica and Sativa, terpenes play a huge role. Certain strains smell like diesel while others can smell like cheese or fruit. This is sometimes reflected in their street and strain names. Traditionally it was thought that indica strains were sweet and fruity with flavours of blueberries and grape dancing through. On the other side of things, sativa plants were associated with earthy tones and pine aromas. For the most part, this is true, but with the onset of hybrid strains, flavours and smells get mixed and changed. It is imperative you know what strain you’re getting not just by smell but by reading the ingredients. Understanding what strain is best for you is essential. What you’re looking for depends on what you’re hoping to achieve and you should talk to a medical practitioner or licensed bud-tender before you explore the crazy world of cannabis. We sincerely hope that this has helped you learn more about the current state of cannabis and the strain effect. We will continue to share our knowledge of cannabis and would love for you to come with us on this journey. Download the Uppy App which precisely records and monitors anything and everything to do with your medicinal cannabis intake.